How do I check MySQL Database sizes? 20i provides an easy way to monitor and view all MySQL database sizes across all packages in your My20i account. Head to the Reporting section on the home page and select MySQL Database Sizes. 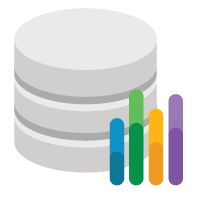 You’ll see a full list of all the databases under your 20i account and their respective sizes. You’re also shown which domain they are associated-with so that you can manage the MySQL database, should you need-to.